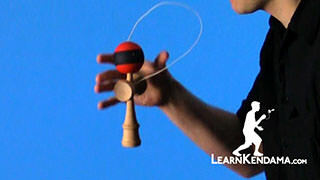 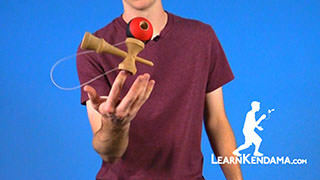 Now, before you learn this trick, you are going to want to make sure that you know Downspike. 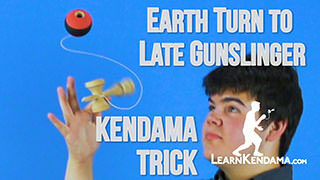 So if you have not checked out our tutorial on that, go learn that, and then come back to this video. 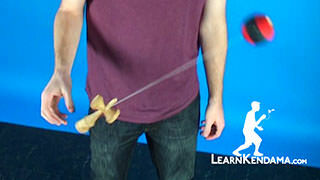 You are going to start the trick by performing a downspike in either the revolver grip or the sara grip. 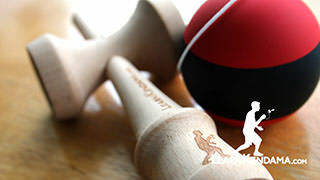 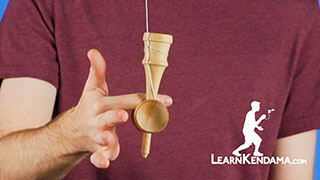 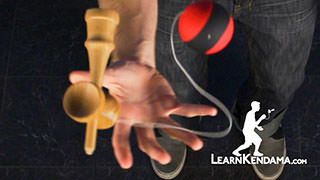 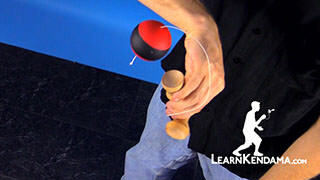 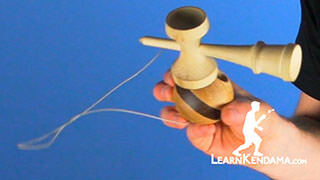 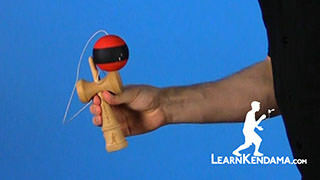 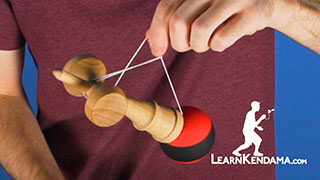 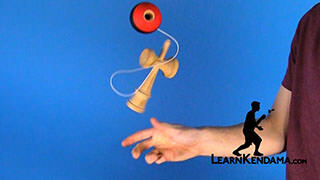 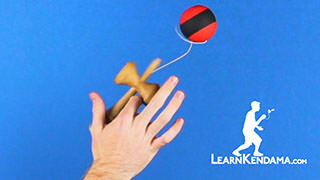 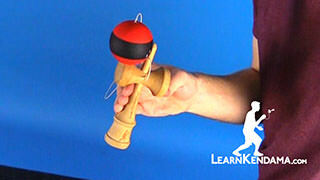 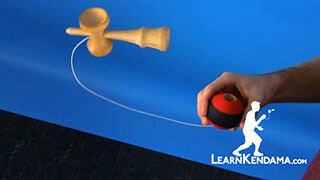 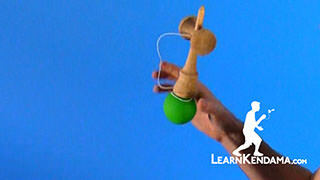 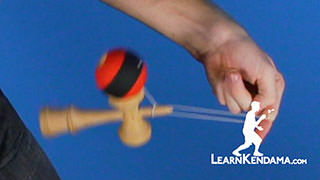 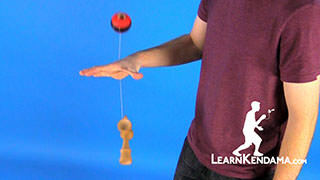 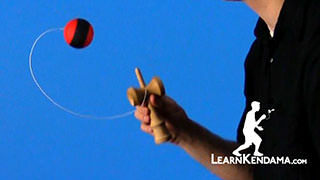 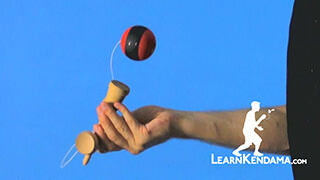 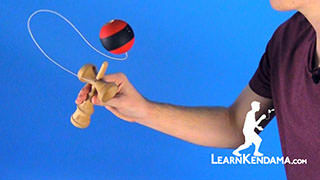 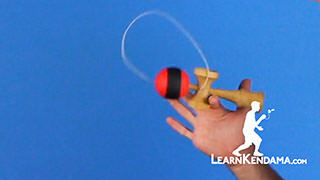 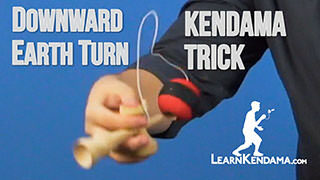 Now, once you are here, you are going to rotate the base cup of the ken upwards and towards your face. 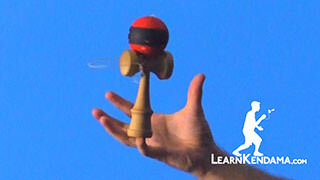 This will cause the tama to fall off of the spike, rotating towards you. 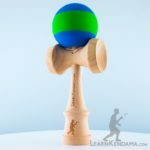 As the tama finishes its rotation, you want to bring the ken back down underneath, allowing the tama to land on the spike. 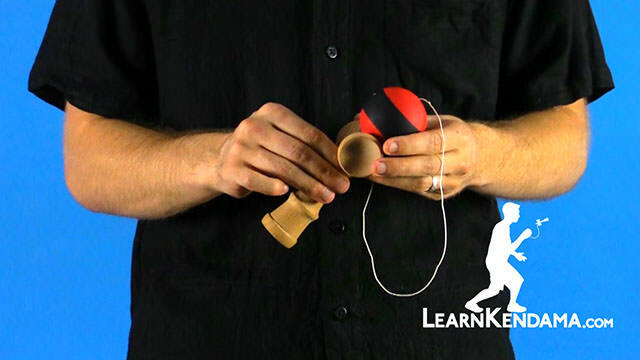 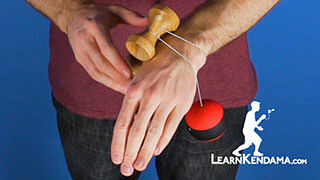 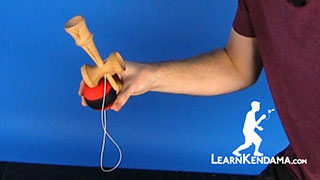 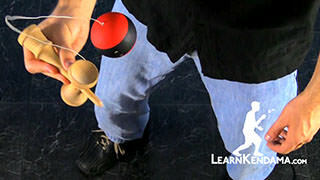 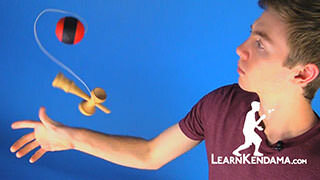 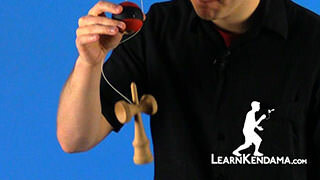 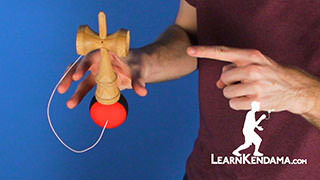 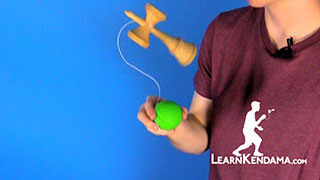 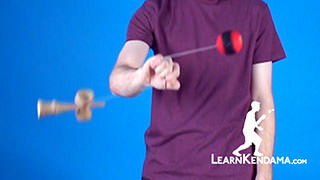 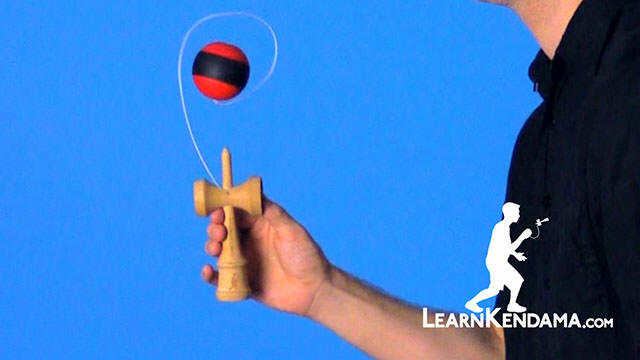 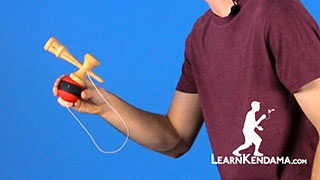 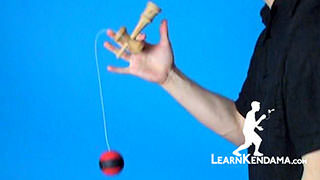 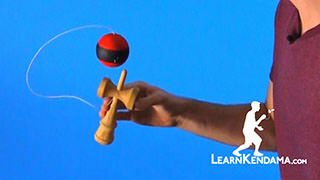 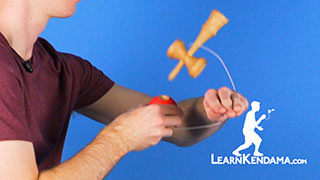 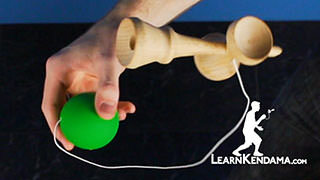 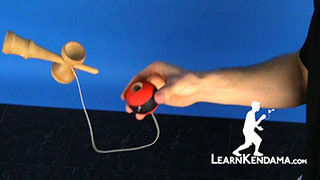 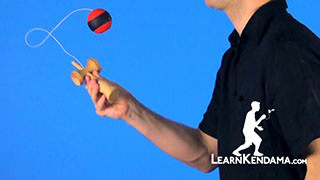 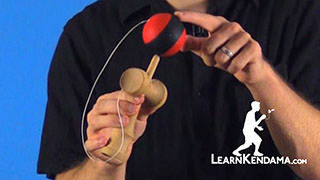 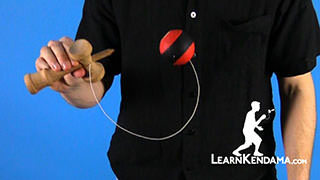 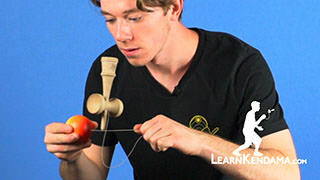 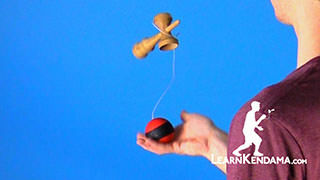 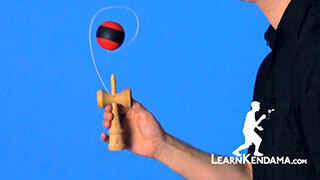 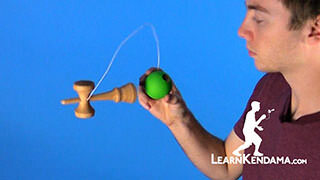 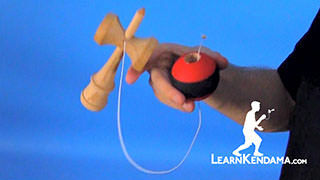 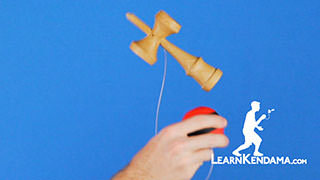 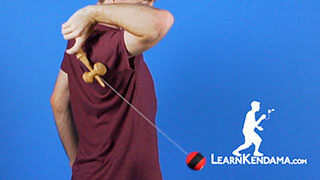 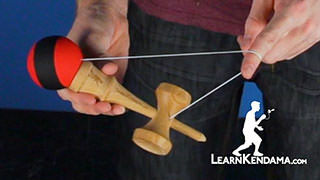 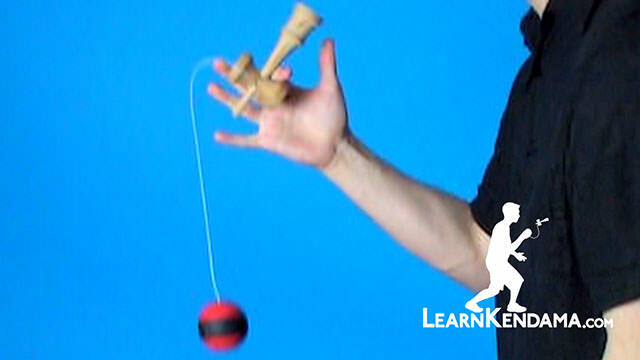 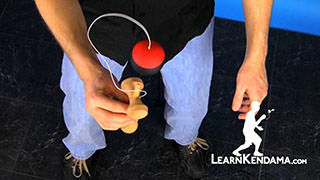 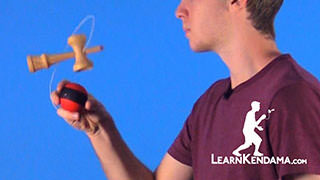 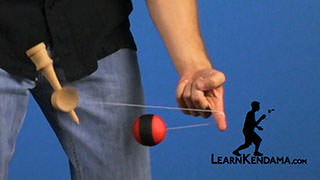 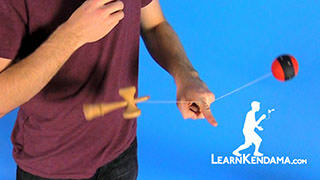 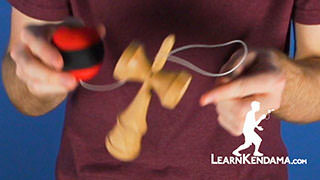 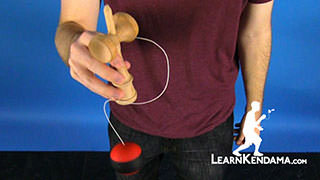 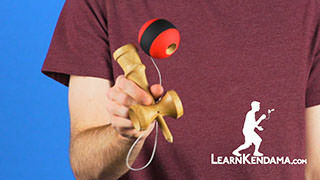 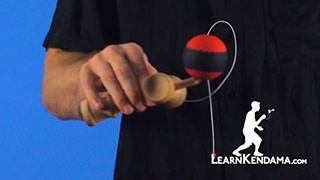 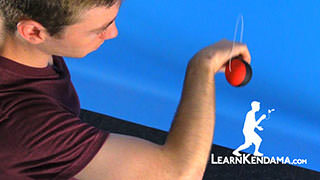 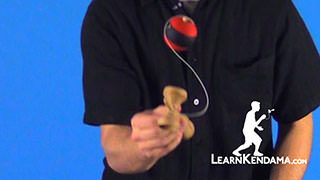 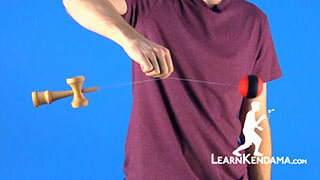 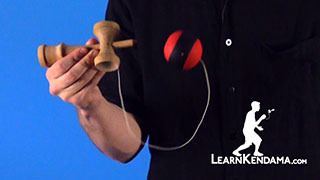 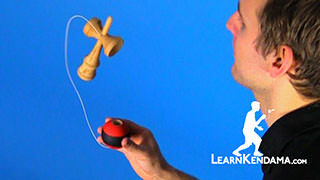 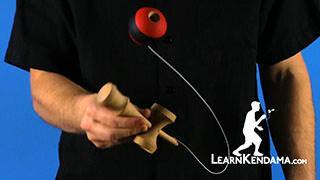 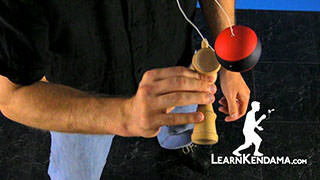 Now, this can be a pretty difficult trick, so if you are having trouble learning it, we recommend moving the ken a little bit slower on the way up. 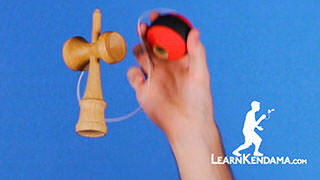 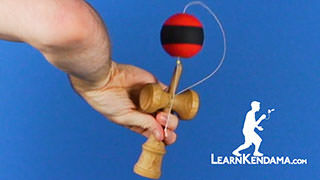 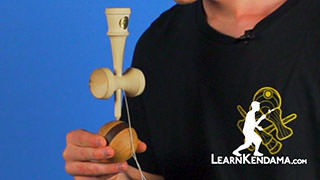 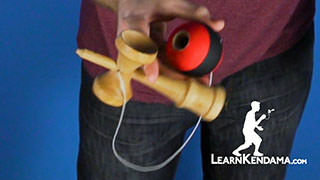 This will cause the tama to rotate a little bit slower, giving you more time to get the ken back underneath. 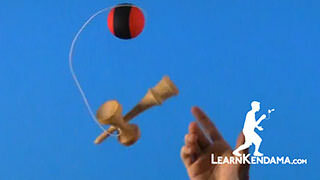 And that is how you do the trick known as Downwards Earth Turn.